The Longhorn defense is intent on proving that Texas is back, now and into the future (Photo by Don Bender/Horns Illustrated). With a week in New Orleans to prepare for Georgia, what has the Texas defense learned about their New Year’s Day foe? Even as the Longhorns enter the game as double-digit underdogs to the Bulldogs, not a single player on the Texas ‘D’ is worried about what Georgia’s schedule in the tough SEC means today. Never one to back down from a challenge, senior defensive lineman Charles Omenihu sized-up the Bulldogs in comparing them to Oklahoma, the toughest team Texas has played. Up until now. 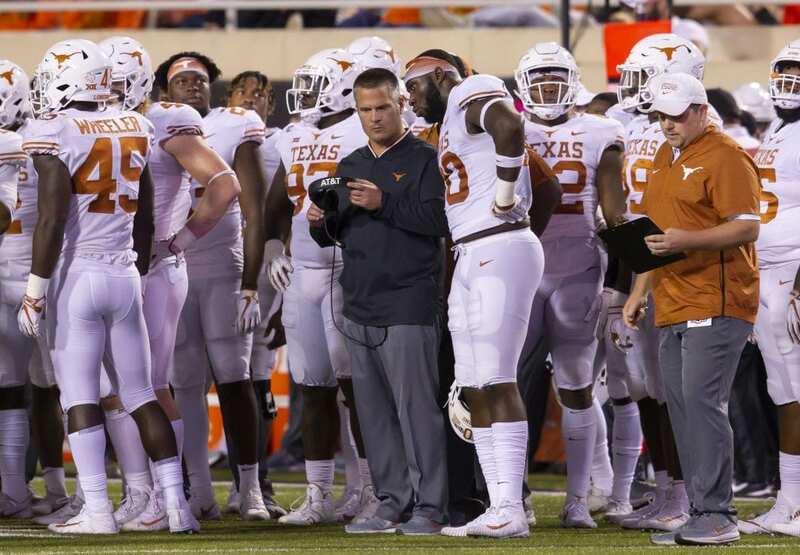 While several Bulldogs have gone out of their way to compliment the Texas defense, the Horns have heard it and appreciate it, but aren’t going to let that soften them. The defense has prepared for a different tempo and different style of game coming today on New Year’s Day. Not because Georgia is from the SEC, or stood toe-to-toe with Alabama, but because the Bulldogs huddle-up after nearly every play, slow the game down, and try to grind and wear down the opposition. "It is what it is. I don't think it's that big of a deal for me. I don't think it's a big deal for the defense,” Omenihu said. It obviously lengthens the game but it is what it is and we'll take our time." With this being the final game of the season and the finale for several Longhorn seniors, the time to show the nation that Texas is, indeed, back, and ready to hang with the big boys this year and beyond into the future, is now. Wheeler was in full agreement with his teammate. "I want people to say we changed Texas and brought it back to how it used to be, so Texas can keep moving forward until they are considered a top team again,” Wheeler said. Kickoff for the Allstate Sugar Bowl is set for 7:45 p.m. today on ESPN.